Ian Haney López holds an endowed chair as the John H. Boalt Professor of Law at the University of California, Berkeley, where he teaches in the areas of race and constitutional law. One of the nation’s leading thinkers on racism’s evolution since the civil rights era, he is also a Senior Fellow at Demos. Haney López has been a visiting law professor at Yale, New York University, and Harvard, where he served as the Ralph E. Shikes Visiting Fellow in Civil Rights and Civil Liberties. He holds a master’s in history from Washington University, a master’s in public policy from Princeton, and a law degree from Harvard, and is a past recipient of the Alphonse Fletcher Fellowship, awarded to scholars whose work furthers the integration goals of Brown v. Board of Education. 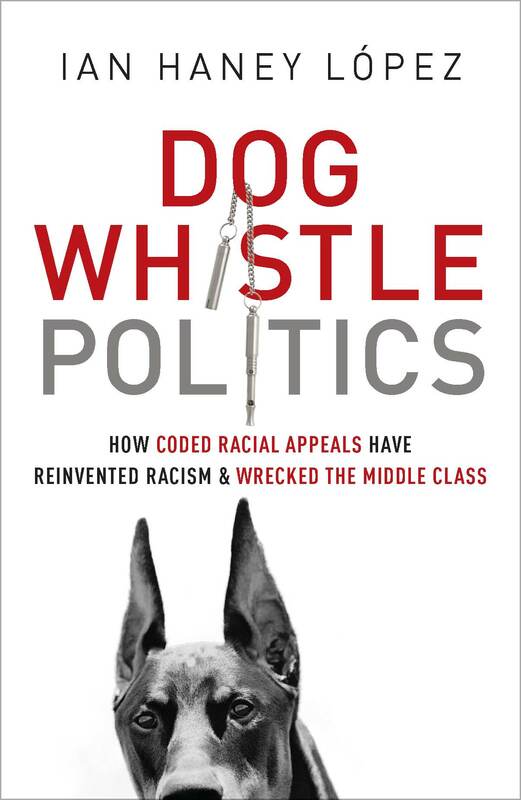 The author or editor of five books, his most recent, Dog Whistle Politics: How Coded Racial Appeals Have Reinvented Racism and Wrecked the Middle Class, lays bare how politicians exploit racial pandering to build resentment toward government, fooling voters into supporting policies that favor the very wealthiest while hurting everyone else.